Student Flexwing Microlight Pilots will initially start practicing Airfield Circuits. The student pilot will take off, fly round the “circuit” and land (or do a “touch and go”) This gives the pilot experience in taking off, practicing flying in an environment with other aircraft and then landing again. For this example, I have documented the procedure from starting to parking, including examples of Radio calls. All Pilots should go through safety checks before starting the aircraft, before take off, and during flight. Most instructors will use Mnemonics to make checks and procedures easier to remember. Some instructors use slightly different ones, but they will all be pretty similar. Before any flight a pilot should perform ground checks to satisfy him/her self that the aircraft is fit to fly. This is an example checklist of things to check on a microlight flexwing. S – Security – make sure that both Pilot and passenger are secured with seatbelts and that helmets are secured. Pilot should check this for passenger manually, not just ask. T – Throttle – make sure that the hand throttle is in the off position and the foot throttle is free and foot is not activating it. Also consider choke if required. A – Area – Check the surrounding area in front, to the side and especially behind the aircraft to make sure no one is in the vicinity before starting the engine. Have another check that the area is clear and start the engine. As an example, this is a typical radio call at Perth Airport after starting the aircraft. Pilot: “Perth Radio, this is Golf Alpha Bravo Charlie Delta, requesting Radio Check and Airfield Information for circuits, 2 POB (persons on board) with 2 hours endurance (flying time). The Pilot now knows what runway is currently being used and the altimeter settings. C – Controls – The pilot will move the bar fully to the left and the right, and forward and backwards to ensure there is nothing going to snag, or cause any problems in the air. H – Harness’s and Hatches – The Pilot will again check both his own and the passengers helmet and seatbelt to make sure they are secure. The Pilot should also check the Hatches (semi circular zips on wings, and Velcro cover in centre on most flexwings) These should all be closed, if they are not, it could cause the aircraft to be unstable in flight. I – Instruments – the instruments on the aircraft should be checked to make sure they are working. Temperatures and Pressures (T’s & P’s) should be correct before attempting take off. The Altimeter should be checked and set to the correct QFE setting. F – Fuel – Make sure there is enough fuel for your flight, as well as extra, in case you needed to divert. T – Trim – adjust the wing trim for takeoff. Also check the “Tangs” ( the circular security catches on the airframe, and including the Main “Jesus” bolt directly above the Pilot. You may have checked this in your pre-flight checks, but should be done just before flight. A – Area – make sure that the area is clear, and establish any inbound traffic, by a vigilant lookout and also listening to any radio transmissions. 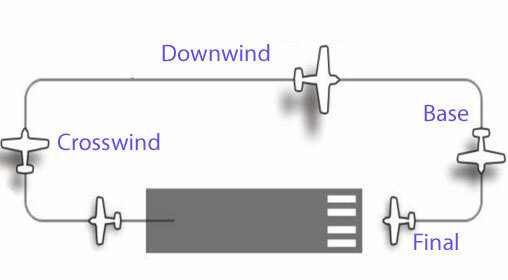 Even if you don’t have a tower radio, any incoming traffic should report “downwind” and “Final” to give you information. P – Power – You will use full power on take off to test the engine. In this scenario, the pilot will be using runway two seven (right). The closest holding point will be “Charlie”. The pilot will want to use as much of the runway as possible, so needs to taxi up to the end of the runway and then turn ready for take off. This is called “Backtracking” the runway. 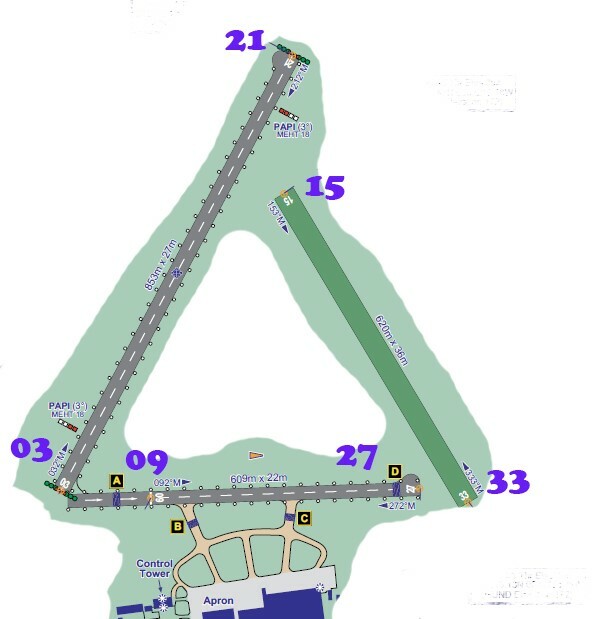 The pilot will listen to the radio to identify any aircraft that is on the circuit (either downwind or final). He will also make sure he checks visually to see if there is any aircraft that could affect him taking off. When parking the aircraft, consideration is made to the wind direction. Different aircraft will be parked differently: Some will be parked with the wing dropped down into the wind (so wind doesn’t lift aircraft) some with smaller wings will be parked with the wing level. All wings should be secured so it cannot move, and the foot brake lock applied. The Mags should be switched off (to stop the engine) and the radio switched off. Ignition should be switched off.